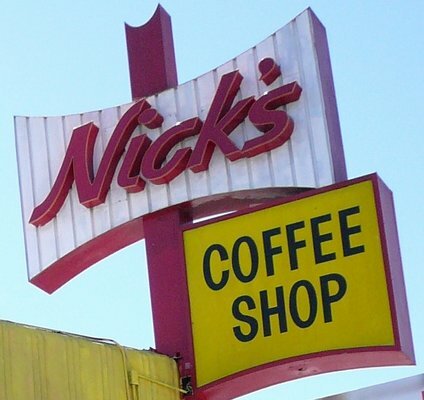 One of my favorite places to have breakfast in LA is Nick’s Coffee Shop & Deli. I don’t know how they keep such a large menu at Nick’s. And if you don’t see it on the menu, I bet that you can call it, and they’ll make it happen. It reminds me of my first job busing tables at the (long-gone) People Tree Supper Club in Calabasas. Chef Costello, an eccentric post-middle-aged maestro who claimed to have invented a perpetual motion machine in his spare time worked a 16 hour shift without and assistant. He was said to have lived an alternative lifestyle with two flaming redheads — but I digress seriously. By the time Chef Costello moved on to the 94th Aero Squadron Restaurant at the Van Nuys Airport, it was to take three full-time chefs to duplicate his menu. Another month saw the People Tree back down to one chef and 1/3 the menu size. Anyway, my friend and acting coach, Rod Menzies put me on to Nicks. He walks to breakfast; I drive like everyone else who is not in West Hollywood for 90 minutes one way, regardless of the distance. We can sit and talk for hours about schtuff and I can return to Arizona happy to have made the drive and knowing that I’ll be here during my next inoculation of Los Angeles. 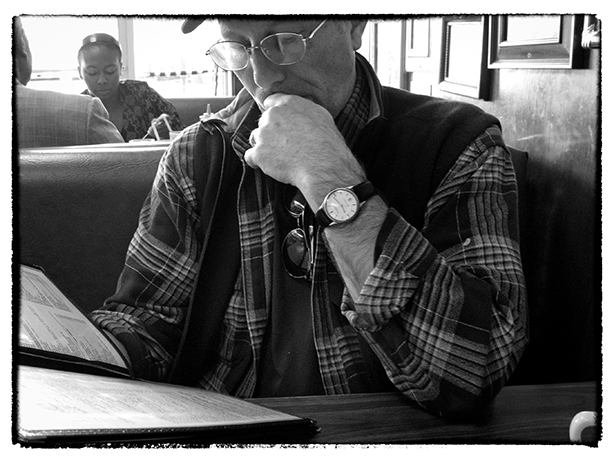 I found myself this morning, two days later, pondering a drive to Nick’s for breakfast again. I guess for me, it must be good.